Rajasthan is a place where you can feel the magic of ancient times. 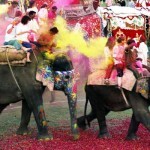 Its big palaces, rich culture, colourful festivals make it a must-see place. Opulence of flora and fauna make it a perfect destination for wildlife tour. The land of Rajasthan houses a number of attractions like Ranthambore National Park, Desert National Park and Bharatpur Bird Sanctuary. Some of my friends planned a and they asked me to come along. Since the plan was for weekend, I gave my consent to this tour. When we reached Rajasthan, we all were excited to see its wildlife as I have heard a lot about the same. Thinking of adventures, we took a jeep safari and left for Ranthambore National Park. Located in the Sawai Madhopur district of Rajasthan, Ranthambore National Park is the biggest park. Our guide was answering our queries and sharing his knowledge about this park. He told us that this park used to be the most popular hunting spot of the Maharajas of Jaipur. 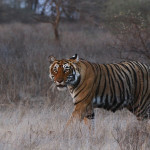 We also took some pictures of tigers as the memories of our wildlife tour. Tigers and other animals were dozing under the sun and watching them was really thrilling. We saw many wild enthusiasts there, who were engaged in the study, behavior of these animals. Our eagerness to see the wildlife of Rajasthan made us to move towards Sariska Wildlife Sanctuary. The knowledgeable guide, who was accompanying us during this tour, told some interesting facts about this sanctuary. This sanctuary was considered as the hunting reserve of the royal family of the Alwar, Rajasthan. 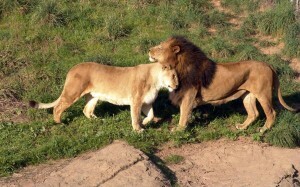 Animal viewing here is a great fun that gives you an enthralling experience. Being a home to many animals, you will find here various carnivores like Tiger, Wild Dog, Leopard, Jackal and Hyena. We were thrilled to see those animals, who were engaged in their daily activities. When we reached around Talvriksh, we saw numerous Rhesus Monkeys. At last, we decided to visit Keoladeo Ghana National Park, which is also known as Bharatpur Bird Sanctuary. One of my friends already visited this place so he was briefing us about the same during our tour. A home to over 380 resident and even migrant species, Keoladeo offers you an opportunity to watch mammals like Golden Jackal, Jungle Cat, Fishing Cat, Striped Hyaena, Nilgai, Blackbuck and Sambar. Certainly, this was the most memorable trip for us. The time we spent on watching tigers, lush green surroundings and a range of species of chirpy birds, was really a great fun and the memories of this tour still refreshes my mood.